These pumpkin muffins will make you forget that blueberry or any other type even exist. One bite and you’re ready for everything Fall! We are all so busy these days, it’s always difficult to make time for friends, or those great ‘girlie’ chats that you sometimes need to chew the fat and have a good old moan, or even talk about any nonsense that comes to mind. Once a month I try to catch up and have a few friends round for coffee in the morning or a quick brunch, but I do find coffee breaks easier – I can muster up a few muffins or cookies without a lot of effort, and more importantly, not tons of washing up! ‘There were 2 cakes talking to each other. One turned to the other and said ‘What’s up cake? The other turned and said ‘Muffin much’. Get it? Sorry about that! I couldn’t resist! These pumpkin muffins will make you forget that blueberry or any other type even exist. One bite and you're ready for everything Fall! Grease or line 2 muffin tins (do try the tulip cases, they give a real professional touch. You can see them below from Amazon). Mix the flour, pumpkin pie spice, salt and baking soda together. In a separate bowl, combine the sugar, pumpkin, eggs, oil, and juice together. Beat until completely blended, then add the flour mixture and stir until mixed. Add some poppy seeds at this stage if you like. Fill the muffin cases to about ¾ full. Bake for 25 minutes or until a wooden skewer inserted into the center of a muffin comes out clean. Cool for 5 minutes in the tin and then place on a wire baking tray to cool completely. 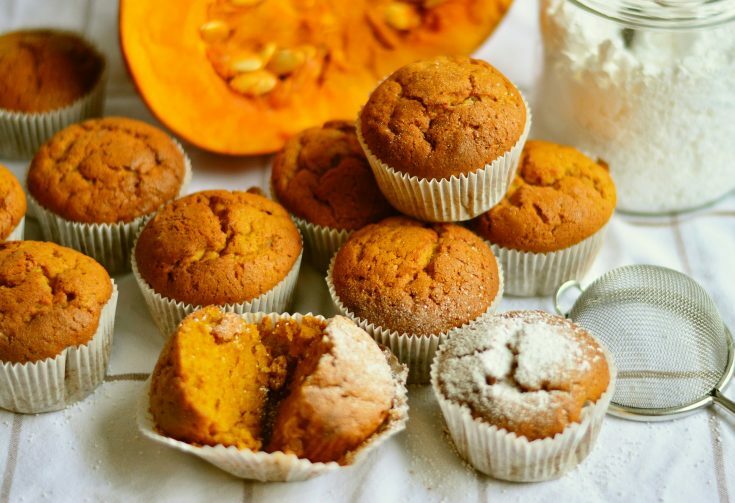 Tip: You can ice these muffins for children if you want to – for real indulgence, would suggest a coffee and walnut butter icing for adults, but then they will probably only eat one!Who would you like to invite over to enjoy these pumpkin muffins with? 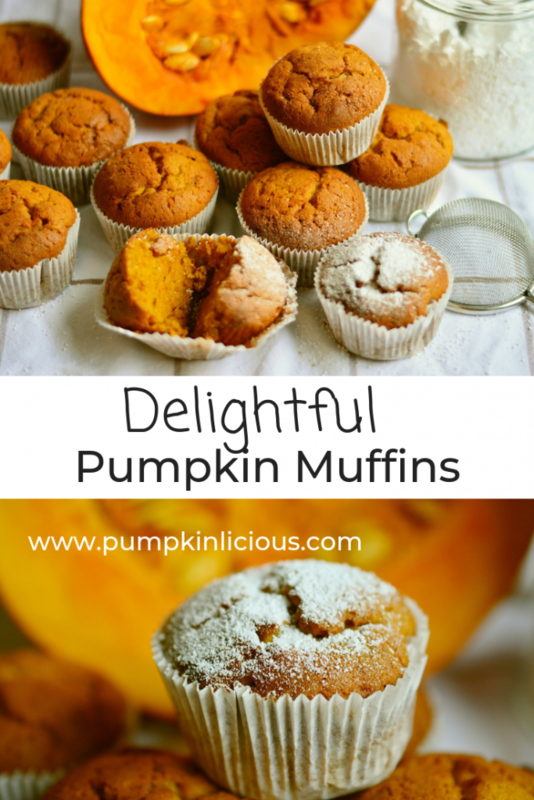 Want something a little sweeter, then you ought to try my Pumpkin Apple Muffins!